Black Lake - often referred to as "Nature's Fish Hatchery" - is the largest and most diverse of the many Indian River lakes. Over 60 miles of shoreline combined with numerous islands, makes for all kinds of fish habitats. Its shoreline adjacent to Hammond has been designated as a Significant Natural Community and as an Important Bird Area. 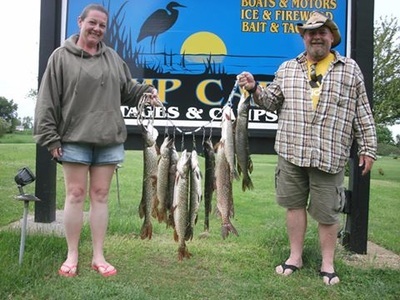 Black Lake features a prime fish habitat including massive bays, expansive weedbeds, island drop-offs, midlake shoals, rocky points and rocky shorelines. Black Lake is the largest of the Indian River lakes and has over 60 miles of shoreline. 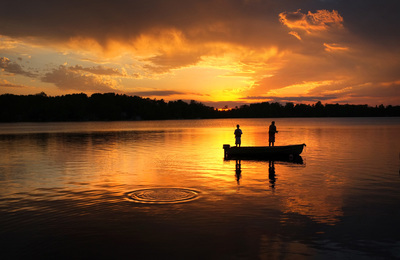 Bass and Crappie fishing is very popular on Black Lake and there are only a few other lakes in New York State that can boast abundant Crappie fishing all year. Black Lake is also a very popular ice fishing lake. To protect the quality of bass fishing on Black Lake, special regulations require that fish measure a minimum of 15 inches to keep. 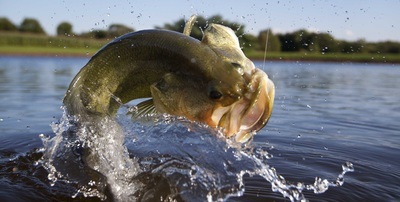 Largemouth Bass can be found in the lake's many bays and along weedy shorelines. To find the Smallmouth Bass, look for rocky points and mid-lake shoals. ​6 Reasons why Bass Fishing is by far the Best Kind!